Lynn Vance, age 81, of Petersburg, WV passed away on Monday, August 28, 2017, at Grant Rehabilitation and Care Center in Petersburg, WV. Mr. Vance was born October 2, 1935 in Onego, WV and was a son of the late Asa Vance and Florence (Morral) Vance. In addition to his parents he was preceded in death by one daughter, Patricia Ann Payne; seven brothers, Melvin, Harry, Minor, Oley, Burl, Curtis and Bruce Vance and one sister, Betty McAvoy. Mr.Vance graduated from Circleville High School in 1954. He served in the U.S. Air Force for 23 years and was a veteran of the Viet Nam War. He was a mechanic for the United States Post Office in Hampton, VA until 1990. He and his wife retired to West Virginia in 1995. He was a member of Grace Lutheran Church in Petersburg, WV. 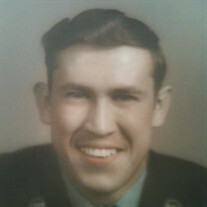 Lynn is survived by his wife, Kathryn (Baker) Vance, one daughter and son-in-law, Vicki Joann and Randal Lewis of Woodbridge, VA; one son and daughter-in-law, Timothy Lynn and Christie Vance of Bloomington, Indiana; eleven grandchildren; two step grandchildren; five great grandchildren; one brother, Richard and Laurie Vance of Montrose, WV and numerous nieces and nephews. Funeral service will be held on Saturday, September 2, 2017 at 11 a.m. at the Schaeffer Funeral Home with Rev. Larry M. Cantu officiating. Family will receive friends one hour prior to services. Interment will be in South Branch Valley Memorial Gardens with Military Rites by Potomac Highlands VFW Post 6454 and West Virginia Honor Guard. In lieu of flowers memorial contributions may be made to Grace Lutheran Church, P. O. Box 385, Petersburg, WV 26847.